As part of a new recall in the United States. Even extremely reliable cars can be the subject of automotive recalls, especially when the problem at hand is caused by part suppliers rather than the actual automaker, like in the Takata airbag recall. Just last month, Toyota and Lexus were forced to recall 1.7 million cars with faulty Taka airbags. This month, Lexus is at the center of another recall, which involves another component the Japanese automaker didn't actually build. 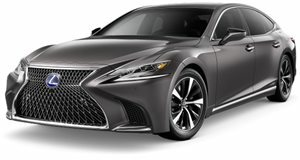 Toyota says certain 2018 Lexus LS 500 and LS 500h models in the United States will need to be recalled due to improperly assembled tires. Approximately 6,300 vehicles will be impacted by the recall, which involves LS models fitted with run-flat tires. Since the tires were assembled improperly, there is a chance that a "crack could develop on the sidewall reinforcement layer of the tires. Under certain driving conditions, portions of the tire tread layer could separate, causing a reduction of vehicle stability and increasing the risk of a crash." We tested a 2018 LS 500 and didn't notice any issues with the tires, nor has Lexus reported any injuries related to this issue - but it is better to be safe than sorry. The solution to the issue is simple - Lexus will simply replace the tires with new ones if your car is fitted with the run-flats. 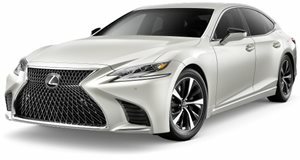 Chances are most people who purchased a 2018 LS 500 are still driving on the original tires, so this sounds like a great opportunity to get four new ones on Lexus's dollar. Owners involved in the recall will be notified in April 2019 and can then go in to receive four brand-new tires from Lexus. The Lexus LS is proof the carmaker has finally found an identity. 2018 Lexus LS 500 Test Drive Review: Can It Continue The LS Legacy? Or does it forge a path of its own?